The Union Home Minister, Shri Rajnath Singh addressing a press conference, in Srinagar, Jammu & Kashmir on June 07, 2018. 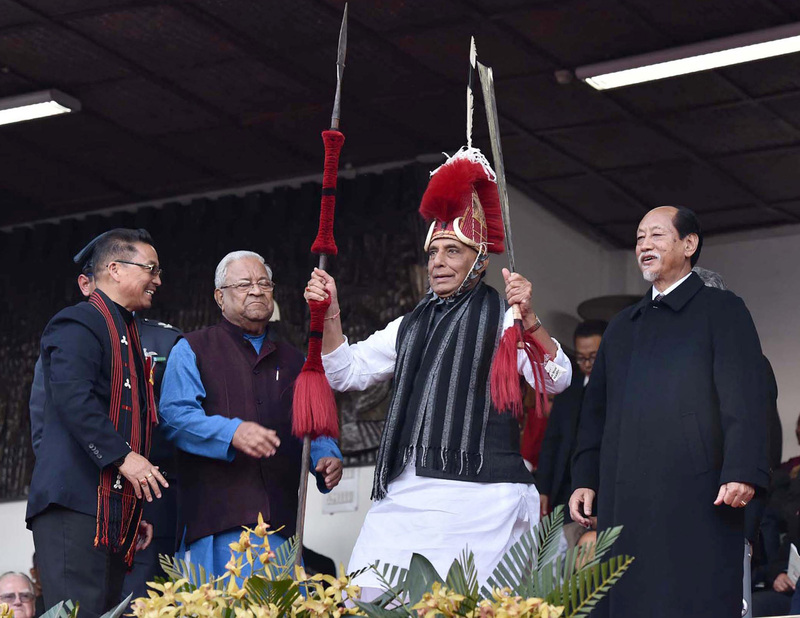 The Union Home Minister Shri Rajnath Singh has expressed concern that some forces want to mislead the innocent youth of Jammu and Kashmir (J&K) and they don’t want the situation to change. Expressing his agony, he said while their own children obtain education, others are misled to take up stones and asked what kind of justice was that. Addressing a press conference in Srinagar today, Home Minister said he appeals from the bottom of his heart that the youth of J&K should be considered as their own children and no one should be allowed to play with their future. They are not only children of J&K, but of India, he added. So the decision was taken to withdraw about 10,000 cases against first time offenders of stone pelting, he said. 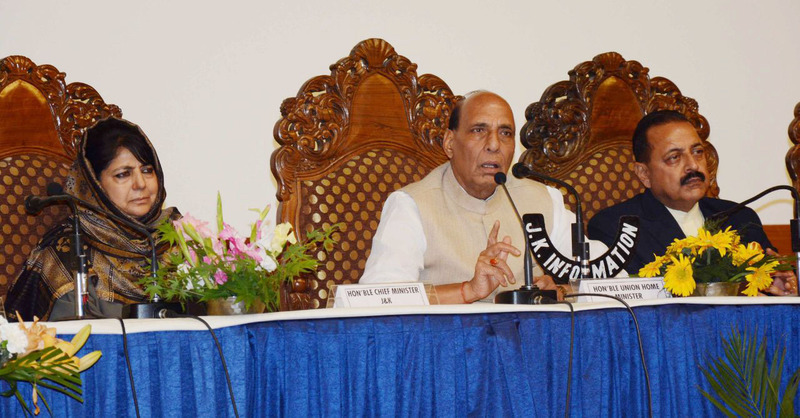 Shri Rajnath Singh said the Centre appointed a Special Representative who visited J&K eleven times. He appealed to the people to come forward for peace. Talks can happen with any one and they need not be like minded, but they should be right minded, he asserted. Quoting Prime Minister Shri Narendra Modi, the Home Minister said, the Government’s approach is “goli se nahi, gale lagaane se”. He said Pakistan should stop cross-border terrorism and can take help from neighbours if it was not able to do so alone. He added some want to destabilize India, but they cannot stop India’s economic progress. The Home Minister reiterated that, keeping in mind the interests of people of Jammu and Kashmir, the Government took the decision to suspend offensive operations during the holy month of Ramazan. He informed that he reviewed the security situation in the state and arrangements for the Amarnath Yatra. He also reviewed the implementation of PM special package for J&K. He congratulated the State Government for efficient implementation of various projects. To strengthen J&K police infrastructure, Rs 174 crores and for procurement of security equipment Rs 500 crores were sanctioned. Remuneration for SPOs numbering more than 5,400 was increased to Rs 6,000 from Rs 3,000. The youth of the state were given employment through recruitment in CAPF, Army and IRB and women are getting 33% representation.